One of the NBA's best stories this season has been the rise Anthony Davis, who has kept the New Orleans Pelicans in the thick of the playoff race. 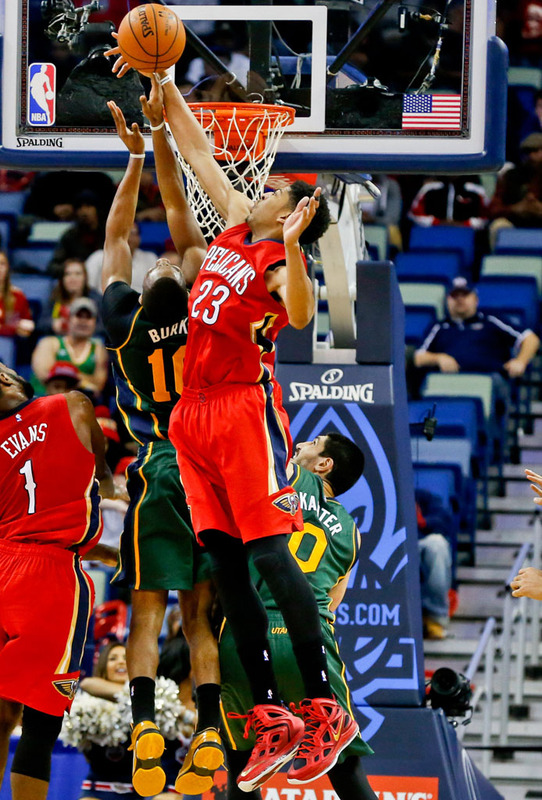 One of the NBA's best stories this season has been the rise Anthony Davis, who has kept the New Orleans Pelicans in the thick of the playoff race with averages of 24.6 points, 10.1 rebounds and 2.7 blocks per game. 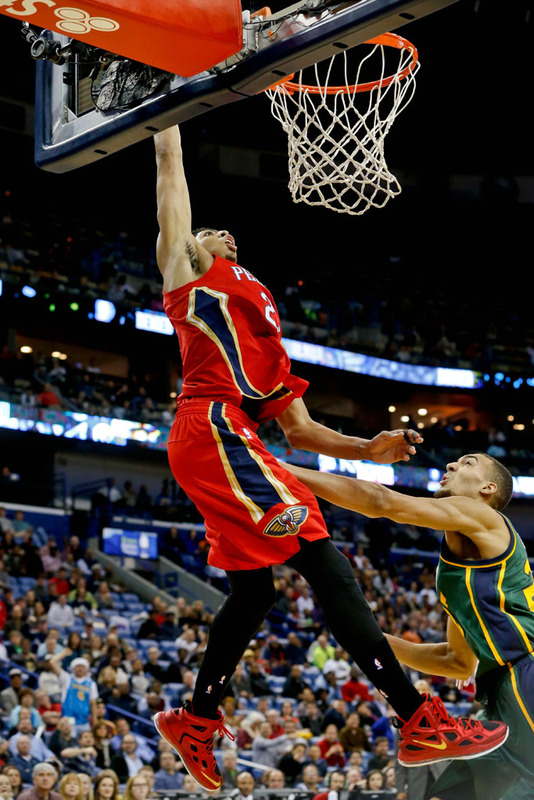 Last night, Davis once again led the way when the Pelicans held off the visiting Utah Jazz 119-111. The big man had 31 points, 9 rebounds and 3 blocks in the game. 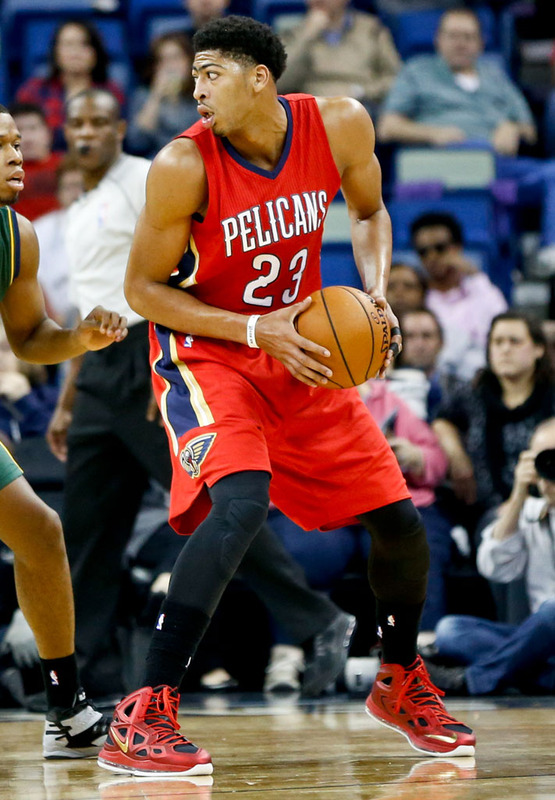 With the Pelicans suited up in their alternate red uniforms, Davis played in a matching PE colorway of the Nike Air Max Hyperposite 2. 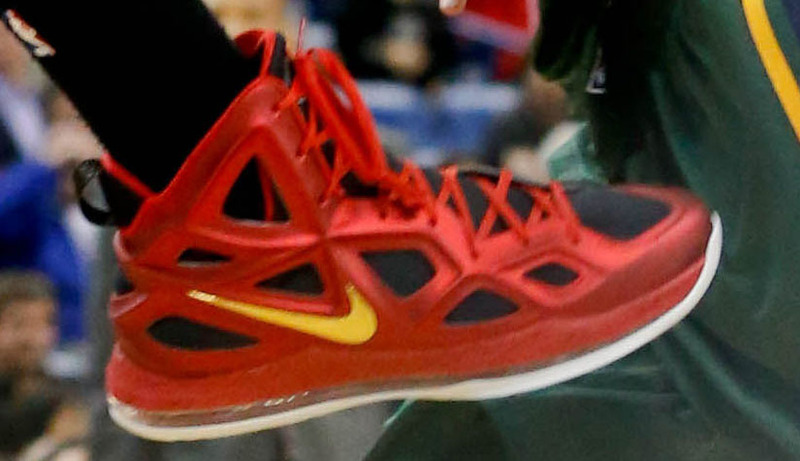 The Pels-themed kicks also feature a contrasting inner bootie and metallic gold Swoosh branding.